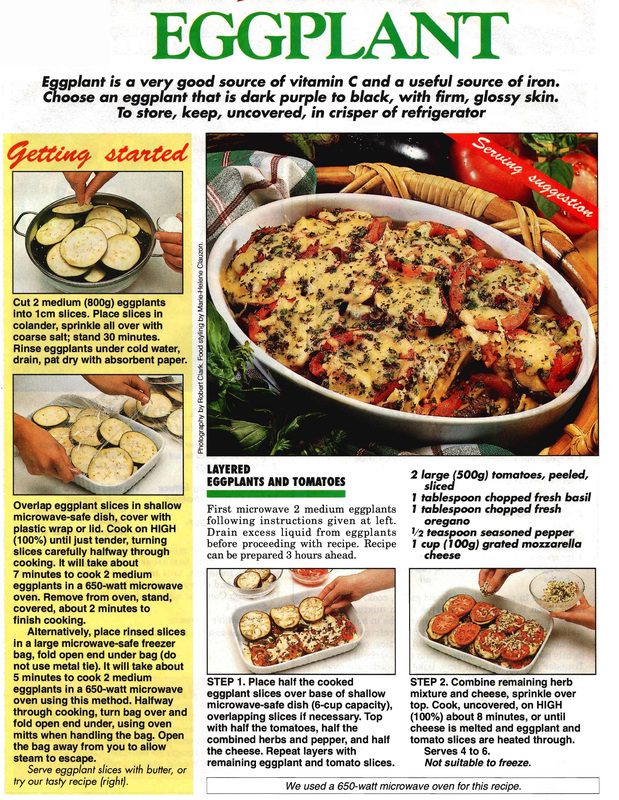 This 1990s recipe comes from a collection printed by The Australian Women’s Weekly – Delicious Vegetables from the Microwave. Two things give its age away. One, it mentions the wattage of the microwave something you don’t see in recipes now and two, it shows you how to salt and drain the eggplants, which you now longer need to do. Despite those things it’still a nice easy vegetable dish. Salmon topping on a pizza might not be everyone’s favourite, but for salmon lovers this recipe from the John West people would be a real treat. 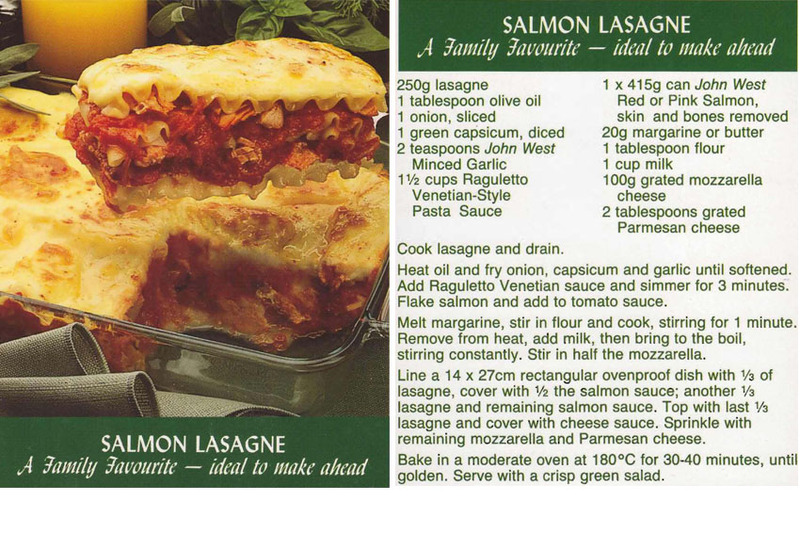 The beauty of all the different varieties of lasagne is that they can be prepared in advance and cooked when needed. This is the first time though I’ve seen a salmon version. I have a recipe for another seafood one which I make using marinara mix I buy from the supermarket and that tastes pretty good, so this one could be worth trying. 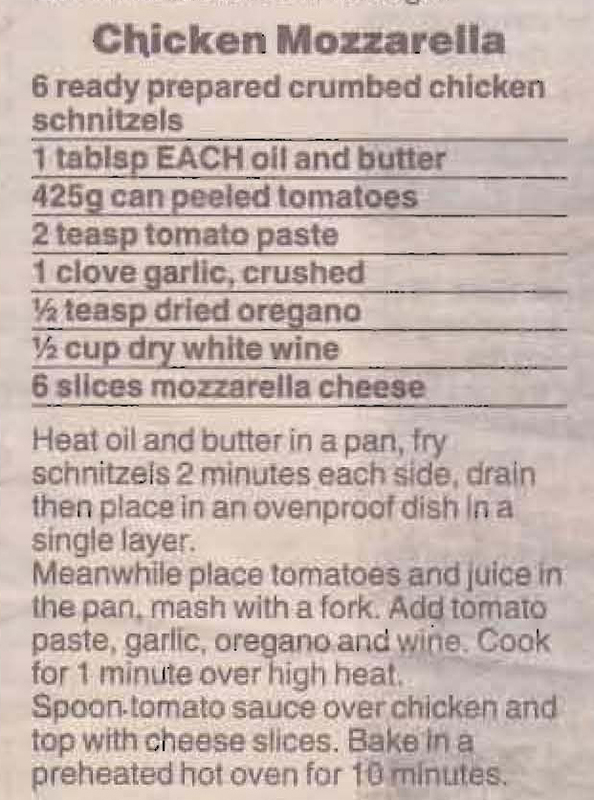 This is a great way to turn a shop bought chicken schnitzel into a chicken parmigiana. An easy meal after a long day and when you don’t have a much of time or energy left. Over the years the Italian influence gradually crept into Mum’s cooking. 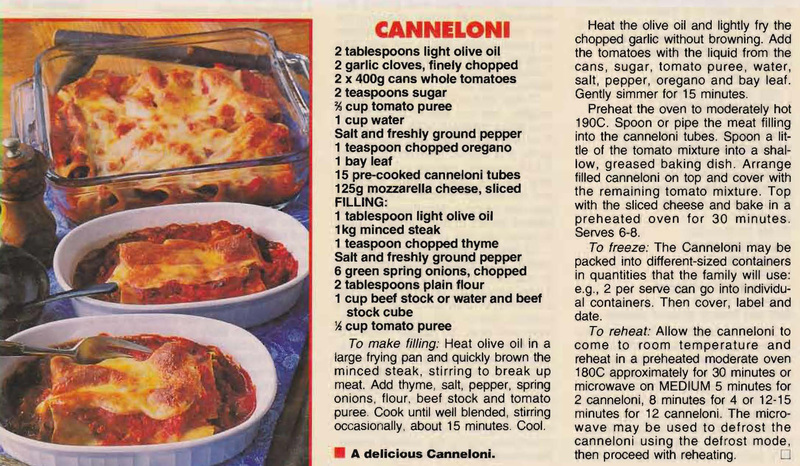 She cut this Canneloni recipe out of the New Idea in 1994, I’m not sure she actually made it, but I’m sure she meant to one day. It certainly looks good.